Apple’s new iPhone X is the hottest phone Apple has every made. Of that, there is no question. It’s also the most fragile iPhone ever though, as drop test after drop test have proven over the past week and a half. You cannot, we repeat cannot, use the iPhone X without a case. Our favorite all-around case is the PITAKA Magcase and our favorite leather case is the Mujjo Wallet Case, but both of those are premium options. 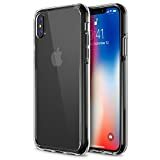 If you’re looking for a lower-cost iPhone X case that still provides good protection and a stylish look, check out the five best-selling cases on Amazon. 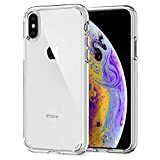 Compatibility: iPhone X Case / iPhone 10 Case compatible with Apple 5.8″ iPhone X (2017 Release). Good Protection: Good protection for the corners and will protect your iPhone from scratching, bumping and daily damages. 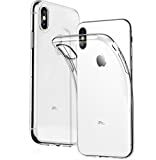 Screen and Camera Protection: Raised camera lip 0.3mm and raised screen lip 0.2mm helps to protect your screen and camera from tabletops and other surfaces. DESIGNED FOR iPHONE X – 100% compatible with iPhone X’s new wireless charging feature. Experience no interference with your new wireless charging technology. Compatible with most aftermarket wireless charger. EASE OF ACCESS – This premium hybrid protective case made to perfectly fit the iPhone X (2017) with precision cutouts for all ports. Light weight and low bulk preserve the iPhone experience. LIFETIME WARRANTY – from Trianium to ensure maximum protection for the life of your iPhone x case.